Sears first sold the Sears Malden in 1939. 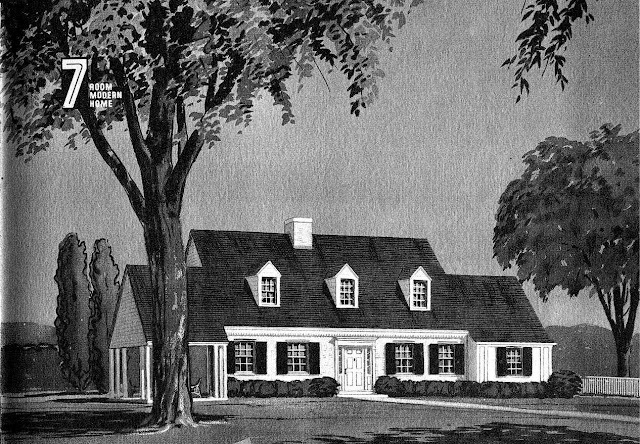 It is one of the "Rare 10"--the 10 new models presented in the 1939 Modern Homes catalog that are seldom seen today. Only a handful of these houses have been located nationwide. 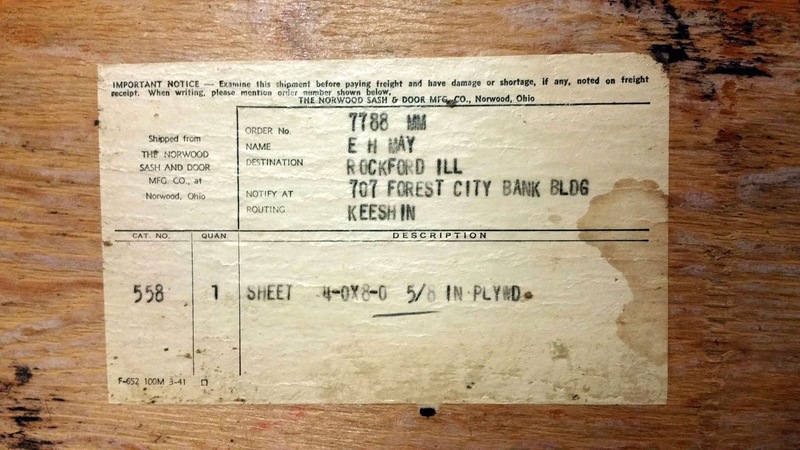 Reader Michael Montana contacted me on the Sears Homes of Chicagoland Facebook page. He said he owned a Sears Malden in Rockford. 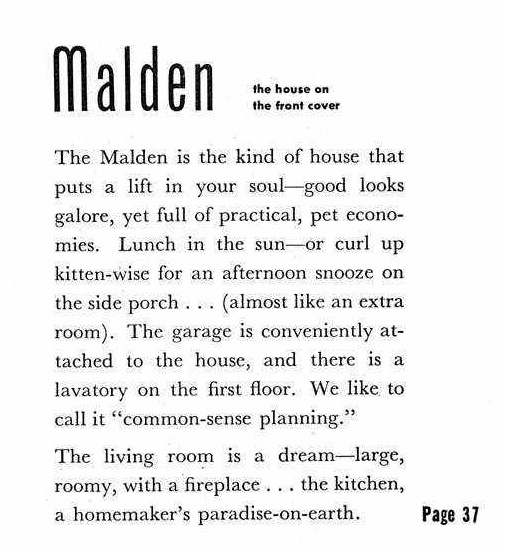 This was a big announcement, since no Sears Maldens had been identified before! 1720 Old Wood Road, Rockford. Photo courtesy of Michael Montana. 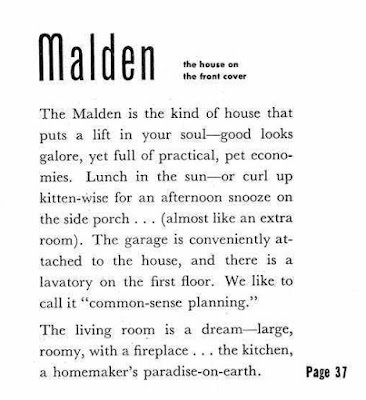 The Sears Malden from the 1940 Modern Homes catalog. A perfect match down to the front door trim. Scan from Sears Archives. The Malden was featured on the cover of the 1940 Book of Modern Homes. Sears must have considered the Malden to be the very best of the "Rare 10". The unintentionally hilarious description of the Malden. Michael found a shipping label from Sears in the house. It doesn't say "Sears", but it says "The Norwood Sash and Door Mfg Co", which was fully owned by Sears and served as one of the locations that assembled the Sears Modern Home kits for customers. Photo courtesy of Michael Montana. As seen on the shipping label, the original buyer was Ellwood H. May. Ellwood was the district manager of the Sears Modern Homes Division in Rockford. The house was built in late 1941. "...the house still has almost all of its original attributes, woodwork, doors, hardware, glass knobs, windows, etc. Compared to the plans, the house is spot on inside. You can tell that Mr. May didn't skimp out on anything due to the additional construction he used (lots of poured in place concrete) i.e., underneath the garage is a full workshop." 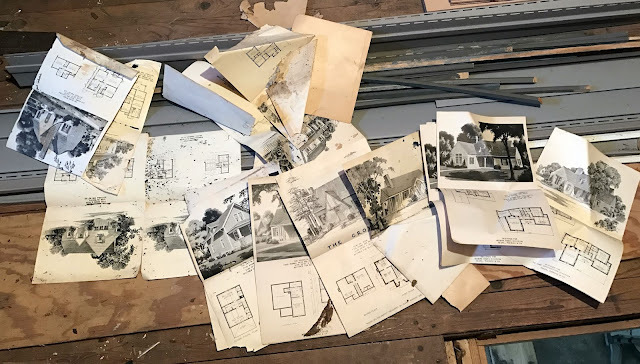 Some of the sales materials from the Sears Modern Homes Division that Ellwood May left in the house. Photo courtesy of Michael Montana. The Sears Modern Homes Division closed around 1942, and I'm not sure what Ellwood did immediately after that. In 1946, he purchased the Engineering Supply Company in Sheboygan, Wisconsin. Ellwood became president and treasurer, and he named his wife, Mary, as vice-president and secretary. The company was renamed Mayline Company and is still in existence today. Ellwood's name also lives on today. He and Mary donated 119 acres of land to create the "crown jewel of Sheboygan's park system", the Ellwood H. May Environmental Park. Ellwood May receiving an award from the Boy Scouts in 1969. Much thanks to Michael for sharing his house with all of us! Wow, what a find! This is another one of those houses that I see in Houses By Mail, and think, "Hmm, I wonder if anyone has EVER seen one of those." Thanks for showcasing it for us all to see!